In 2018, the credit union surpassed $400 million in total assets with member deposits increasing by more than $21 million primarily in regular savings and checking accounts. Both new and existing members are reaping the benefits of the branch network, a 24/7 Contact Center, new live web chat and many electronic channels such as mobile banking and mobile deposit to manage their finances at their convenience. Members seeking to borrow funds for personal reasons, to buy or refinance vehicles, make new home purchases or tap into their home's equity, reached out to the credit union in record numbers. Net loan growth exceeded $23 million. Net loan balances are the product of new loans net of repayments which means that nearly $145 million in new loans were actually provided to members during 2018. The credit union is a non-profit cooperative formed to assist members in managing their deposit accounts and to offer convenient access to credit. As a result of these successful activities in 2018, more than $3 million dollars were added to our reserves. The capital ratio grew to 8.43% with regulatory standards continuing to rank the credit union as “well capitalized”. The credit union always seeks additional ways to add value to our members and our communities. Fraud protection activities continued to safeguard member debit card transactions and employees assisted many members in person to educate them and avoid potential fraud. 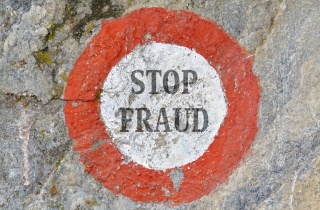 Informational updates are posted to the credit union website regularly to help educate members regarding fraud taking place in New Hampshire. Participating in local communities is a high priority for the credit union as well. A new program of making charitable donations on behalf of each employee and volunteer was instituted this year to not only continue to support local charities, but also as a way to thank employees and volunteers for all they do for the credit union. Organizations benefiting ranged from those that support families, the homeless, animals and many other worthwhile causes. 2019 will continue the tradition of providing service to our members with many favorite programs still being offered, as well as supplementing with new offerings such as a First Time Homebuyer Education Program; Lifestyle Loans to support individual member needs such as tax payments, dental work, vacations or whatever need members may have; and many other services. The credit union will also take the opportunity in 2019 to analyze and act on member feedback received as part of a recent member survey and undertake a review of our marketing programs, incorporating employee input as well as member focus group insights. The credit union continues to listen to members and employees as we grow. Thank you for your continued support and membership. We truly value the patronage of our members and look forward to serving you, your friends and family in 2019 and beyond. I really appreciated the $20,000 personal loan you approved me for when my 22 year old son was moving to Boston. I ended up not needing that much of it, but knowing that the money is available if I do need it gives me much peace of mind. Your staff are always respectful and helpful. Thank you so much. We are glad we could help you Lorna! Thank you for sharing your experience!